We tend to put great emphasis on leadership skills and ways we can learn and build them (and spend a ton of money on professional development each year, too). But if you really want to inspire the people around you, you need to focus on developing the characteristics that make you a standout leader. In fact, there are 33 characteristics employees find most inspiring about their colleagues and managers, according to new research conducted over three years by Mark Horwitch and Meredith Whipple Callahan at Bain & Co. Setting the Tone: how you work in groups when you’re not the formal leader. The most inspiring characteristics related to how you connect with others include humility, or your ability to keep your ego in check, and your vitality or energy. When it comes to leading yourself, people find it super inspiring when you demonstrate that you can deal with stress in positive ways. They’re also looking for leaders with conviction; people who can stay the course even when people disagree with them. There’s one inspiring characteristic that trumps all others, though: centeredness. 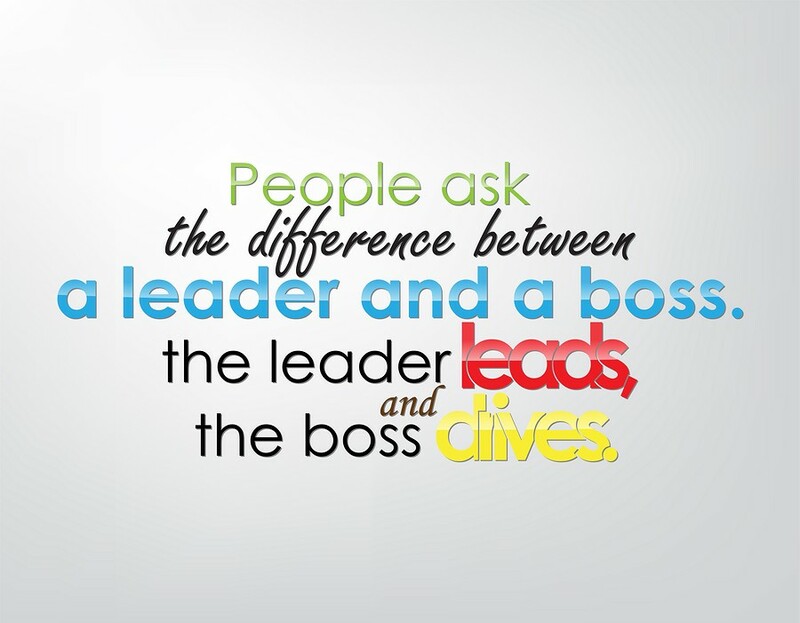 You don’t need to be perfect across the board to be a great leader. According to Horwitch and Whipple Callahan, what you really need is one distinguishing strength to really stand out as an inspiration to others. A distinguishing strength basically means you’re in the top 10% of your peer group in displaying that characteristic. 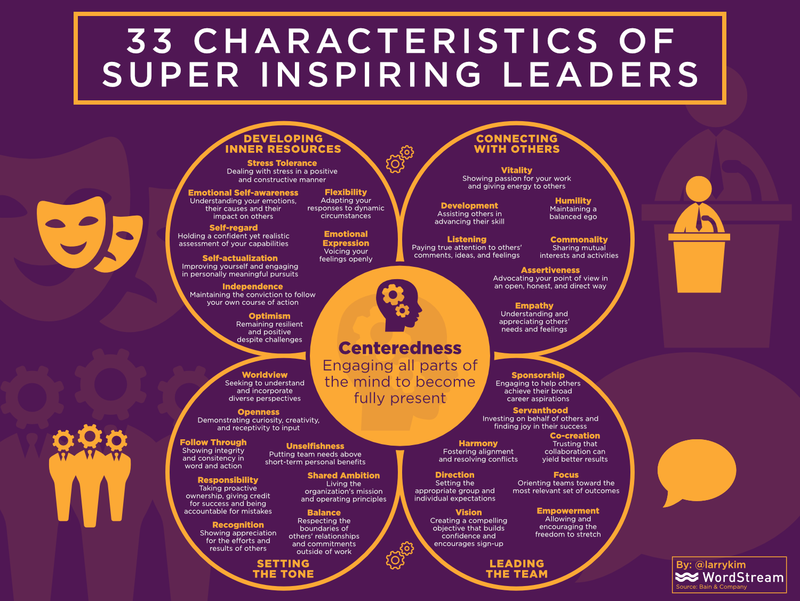 “Even one distinguishing strength nearly doubles your chances of being inspiring — and the more distinguishing strengths you have, the more inspirational you can be,” the study authors wrote in How Leaders Inspire — Cracking the Code. Larry Kim is the CEO of Mobile Monkey and founder of WordStream. You can connect with him on Twitter, Facebook, LinkedIn and Instagram.